What kind of floor plan do you want to make? House plan, office layout, HVAC plan or fire and emergency plan? Below are 13 floor plan drawing types available in Edraw, covering thousands of floor plan basic symbols and shapes. Find the correct template and start quickly with the exact symbols. You should know the size of your floor plan. Have a basic design idea in mind. Decide what to include in the floor plan. Start the software, choose a drawing type and double click to open a new page. Several libraries containing the most needed symbols will open automatically on the left. 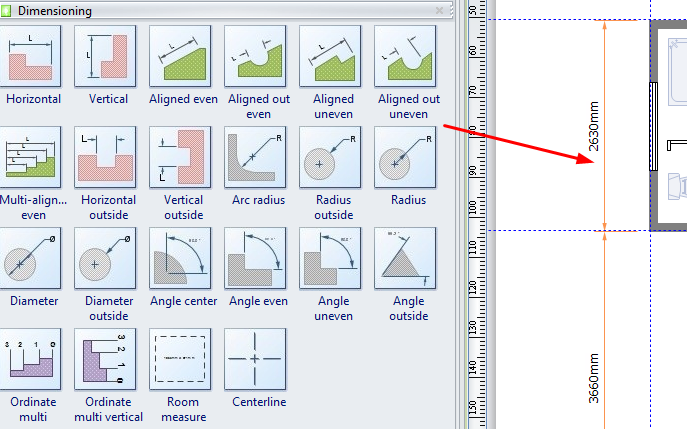 Resize the room shape by dragging the selection handle and the yellow control handles. By connecting walls together, you can create irregular structure based on individual requirements. From the Walls, Shell and Structure stencil, drag Outer wall shapes onto the drawing page. You can resize walls by dragging an endpoint. To connect two walls, you can drag an endpoint of one wall to another wall. The endpoints turn red when the walls are glued. Intersections between two walls are cleaned up automatically. Drag wall shapes onto the drawing page, positioning them inside the exterior structure. You can resize walls by dragging an endpoint. The interior walls can be glued to the outer walls. Add doors, windows, stairs, elevators, tables, chairs, plants and other elements from corresponding libraries. Dimensions could be displayed in the floor plan to show precise measurement and scale. The dimensioning library has included lots of smart dimensioning symbols that enable users to draw interior dimension, exterior dimension, angular dimension, radius dimension and much more. Reposition or lengthen/shorten the dimension lines by dragging the control handles. Use floating button to set more options. To create a successful floor plan, having enough symbols is a must, and it's one of the decisive factors to tell whether a floor plan software is applicable or not. Edraw did it well on this part. 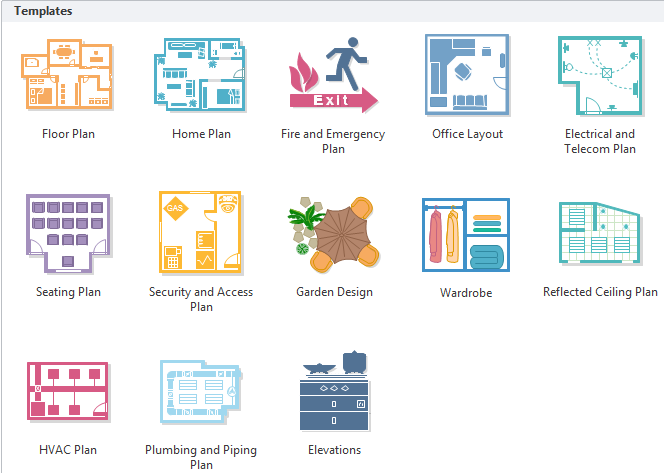 More than 1000 floor plan symbols are available to use.